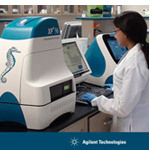 Agilent adds a revolutionary technology for disease research with its acquisition of Seahorse Bioscience, an industry leader in cellular metabolism (the study of chemical processes that occur within a cell). The ability to see what is going on inside of a cell is tremendously important. Chemical and Engineering News has selected three companies that best provide their employees with "an interesting and stimulating work environment, coupled with excellent financial rewards and benefit packages." 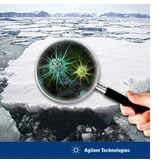 Agilent is one of these "cream of the crop" employers. 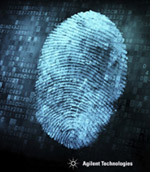 The C&E News article includes several comments from Chris Swenson, Agilent's vice president of Total Rewards. Attention students! Submit your abstract for the 2016 Metrohm USA Young Chemist Award for the chance to win $10,000!! January 9 is the birthday of Professor Sir Alec John Jeffreys, the British geneticist who invented DNA fingerprinting and created the field of forensic DNA. Jefferys remembers the exact moment his life changed on September 10, 1984 at 9:05 am, when he unexpectedly observed unique similarities and differences in the DNA of a technician's family members. Whether or not you believe in global warming and global climate change, it is undeniable that the polar icecaps are melting at an accelerated rate. As this happens, melting arctic ice is releasing organisms that have not been seen on Earth in thousands of years. 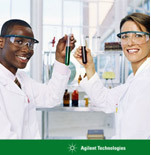 Among Agilent's biggest strengths are its people. We succeed thanks to the talent, diversity and innovative ideas of our 12,000 employees around the world. 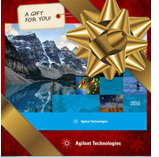 One way we foster community, culture and diversity in Agilent is through an internal monthly photo contest for employees, by employees. ©2016 K'(Prime) Technologies. All rights reserved.